The rumors are true: Valve is releasing an extensively upgraded version of Defense of the Ancients in 2011. Valve has finally announced that it's working on a game called DotA 2 after rumors previously indicated that the studio was throwing its hat into the world of Defense of the Ancients, a massively popular action-RTS gameplay style that first popped up in a user-created map for Warcraft III. A DotA developer named "IceFrog" joined Valve last year and Valve followed it up with a DotA trademark filing two months ago, so the announcement is anything but a surprise. DotA has been constantly updated and re-balanced by various creators over the years, including the release of DotA AllStars and DotA-inspired titles like League of Legends. Valve doesn't plan on changing what DotA players are used to, with DotA 2 set to bring over DotA AllStars's 100+ hero roster, the same map, items, skills, and upgrade paths. In DotA 2, these aspects will only be freed from the constraints put on them by the WarCraft III engine thanks to the use of Valve's Source engine instead. This is Valve though, so DotA 2 won't be a rehash in a prettier shell. 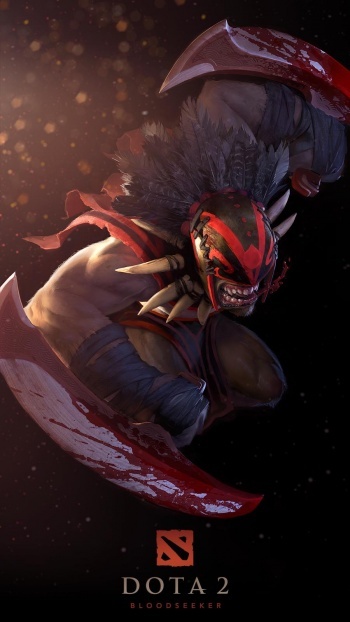 The graphics will be improved, though will remain "somewhat cartoony" and retain "functional aspects to the art that are pretty significant to the players," Valve's DotA 2 project lead told Game Informer. The aim is to make every hero's visual style and animations unique enough so they can be identified immediately. Custom voice work will also provide heroes with "amusing lines" as they encounter other heroes and destroy creeps. Further, DotA 2 adds integrated voice chat, AI bots that take over for disconnected players, and new community-based features that not only reward participation, but should also ease DotA's intrinsically created negative attitude towards new players. Valve is upgrading Steamworks so that it can provide in-game rewards for DotA 2 players that participate in the community outside the game. Though specific details weren't provided, Valve says that bonuses like "unlocking new skins" or "unique titles for writing a strategy guide" are possibilities, while accruing points towards a "Gamerscore" is another. As for what could help new players become more than just currency fodder, as they basically are the current world of DotA, Valve is looking at features outside of skill-based matchmaking. Interactive guides and a coaching system are being implemented to give top-level players a reason to help out the "noobs." Interactive guides written by the best players will be able to highlight strategic aspects of DotA play, while coaches will be able to get even more hands on. A DotA 2 coach will be able to see his/her student's screen and chat with him/her privately to help out just like a hired instructor. These coaches will be rewarded for positive feedback, though again, the specifics haven't been worked out. Overall, it looks like Valve is putting together another huge game that has its origins in the modding community. DotA 2 will be released on the PC and Mac in 2011.